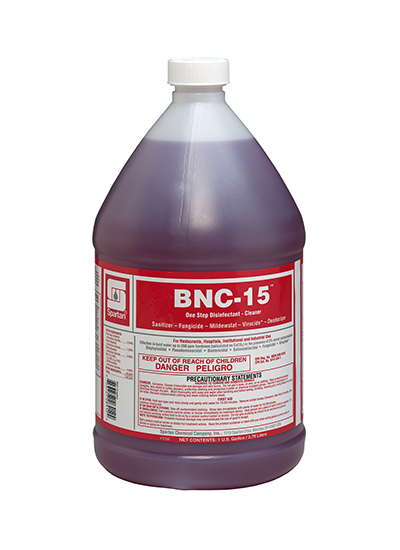 BNC-15 delivers non-acid disinfectant and cleaning performance in an economical concentrate. BNC-15 is a proven one-step disinfectant, cleaner, sanitizer, fungicide, mildewstat, virucide, which is effective in water up to 250 ppm hardness in the presence of 5% serum contamination. This product provides non-food contact sanitization in just 15 seconds.